Olive Sparrow: Resident in lower Rio Grande Valley of Texas. 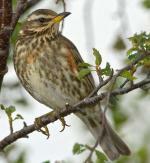 Preferred habitats include thickets and thorn scrub. 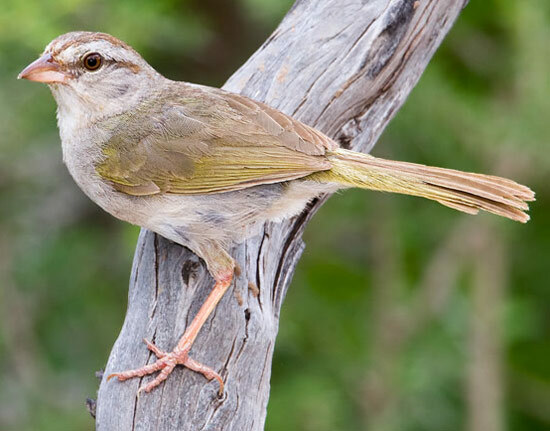 The Olive Sparrow is also known as "Green Finch" and "Texas Sparrow." 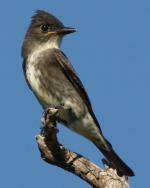 Although somewhat secretive, they can often be coaxed into view with squeaking. It is the only sparrow with an olive back. A group of Olive Sparrows are collectively known as a "bunch" of sparrows. The Olive Sparrow has an extensive range reaching up to 480,000 square kilometers. 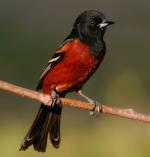 This bird can be found in Belize, Costa Rica, Guatemala, Honduras, Mexico, Nicaragua and the United States where it inhabits a range of environments. It will appear in subtropical and tropical forests, dry or moist shrub lands and degraded former forests as well. 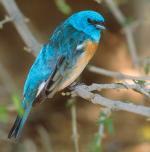 The global population of this bird is estimated to be around 2,100,000 individuals. Currently, it is not believed that the population trends for this species will soon approach the minimum levels that could suggest a potential decline in population. Due to this, population trends for the Olive Sparrow have a present evaluation level of Least Concern.